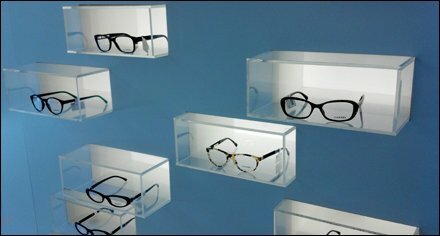 Early on FixturesCloseUp previewed a short thread on eyeglass niches. But I must have gotten distracted and the thread lapsed … until now. This somewhat surrealistic irregular formation of niches cried out for coverage. 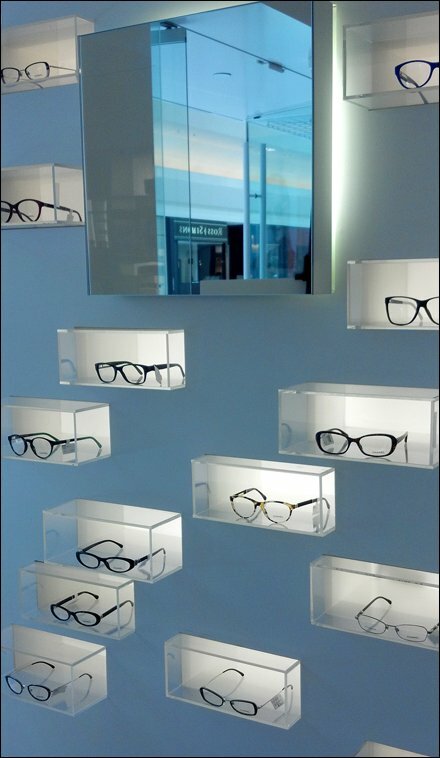 The eyewear brand is Chanel, but the fixtures could possibly be store designed. CLICK the thumbnail for a broader view of the backlit niches. “Gucci Retail Fixturess Pinterest Board” for a visual summary.